Lofoten - Eggum, a set on Flickr. Organized some old and added some new images into this new set. 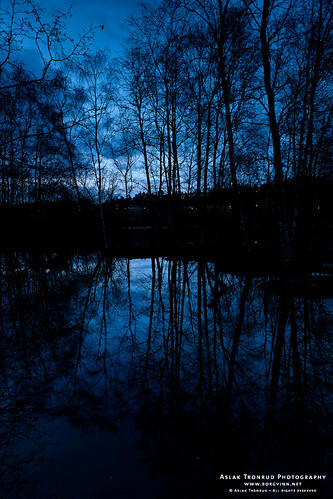 Reflecting trees at dusk, a photo by aslakt on Flickr. My first contribution to DPS weekly assignment. Taken at Østensjøvannet a nature reserve close to home. Cambodia – Angkor Thom, a set on Flickr. Another set from flickr, this time from Angkor Thom – with the Elephant terrace, Terrace of the leper king, Phimeanakas and the Victory Gate. Cambodia – Ta Prohm, a set on Flickr. A set of photos from Ta Phrom. Unrestored and deliberately left to the elements.